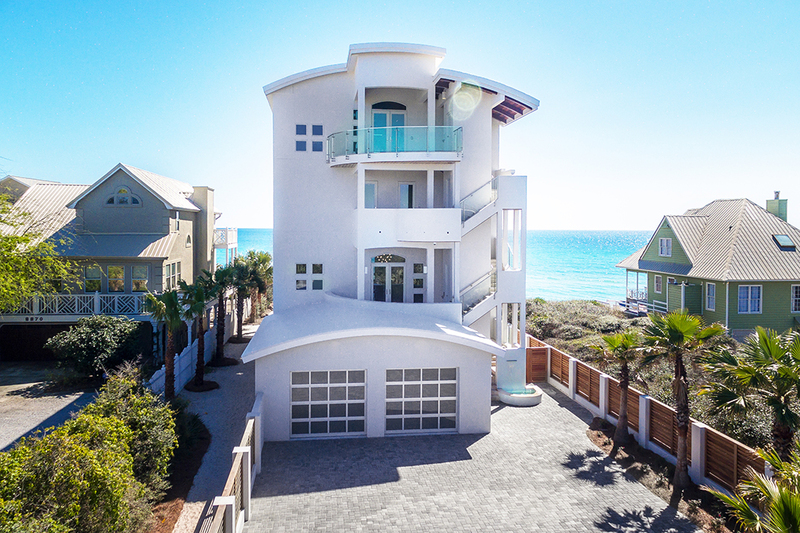 When 30AV Audio Video owner Paul Williamson entered his client’s newly-remodeled Rosemary Beach home on Florida’s Emerald Coast, he knew that Total Control was the ideal smart home solution for the stunning beachfront property. 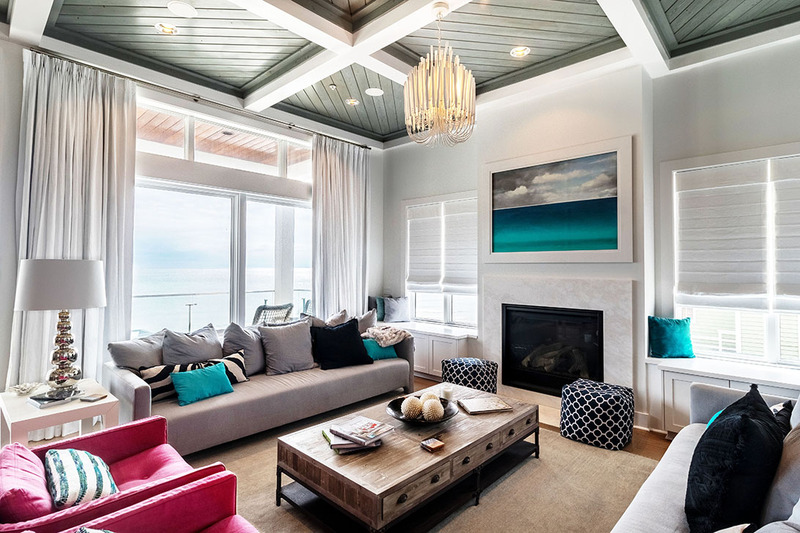 Williamson, a premiere URC systems integrator, was certain that the elegant user interfaces, custom onscreen graphics and exceptional performance would impress the discerning homeowners. 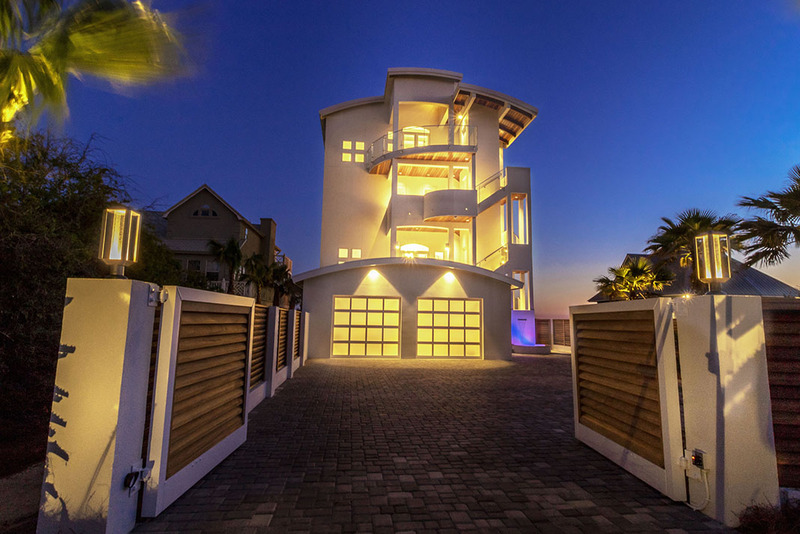 With that in mind, he set out to create the ultimate home automation and control system for relaxed beachfront living and effortless family entertaining. 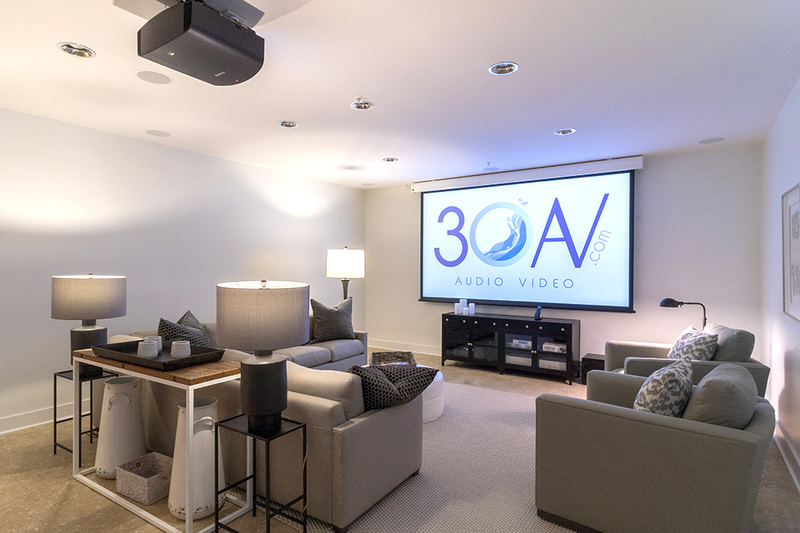 30AV started by designing a top-of-the-line home theater and premium audio system – plus surveillance camera integration. Whole-house distributed audio, door station integration and Amazon Alexa voice control are underway. The home boasts an impressive first floor home theater with dual entertaining zones. The theater features a Sony 4K home cinema projector and 120” Dragonfly screen – all controlled by Total Control. 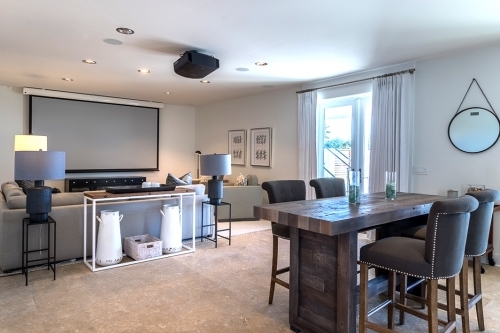 A 75” Samsung 4K TV over the bar is a perfect second screen for game-day parties. 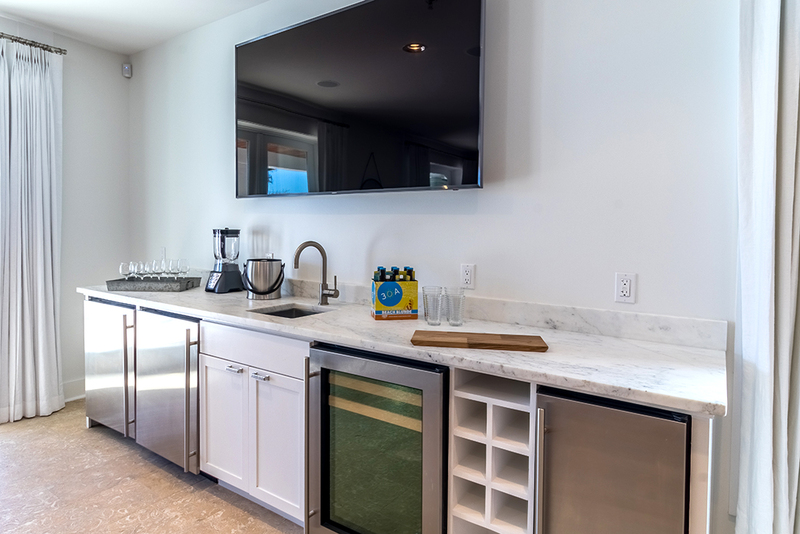 “The homeowners can raise and lower the 4K-optimized projection screen with their Total Control touchscreens and handheld remotes,” said Williamson. “The elegant tabletop controllers and in-wall touchscreens look great and are easy to operate." Above the fireplace in the second floor family room, a Vutec ArtScreen™ transforms a 60” wall-mounted Samsung 4K TV into a work of art. One touch of the Total Control touchscreen or remote raises the ArtScreen to reveal the TV, and lowers it once screen time is over. 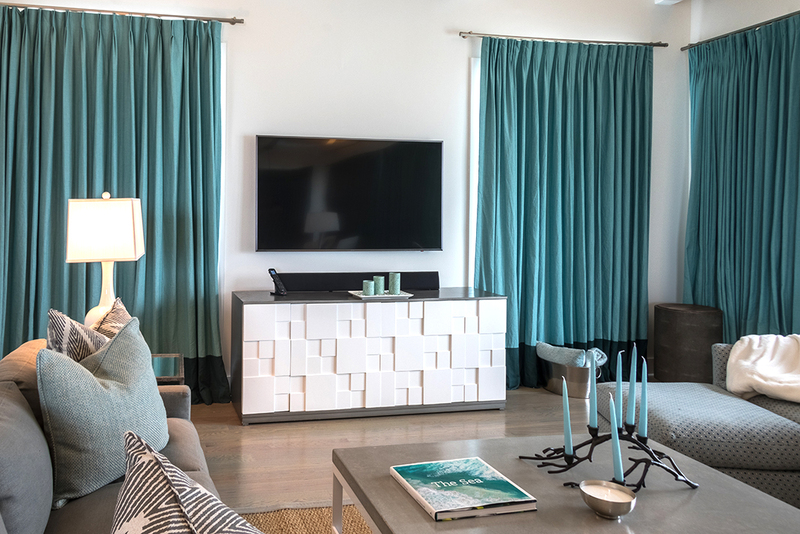 A spectacular audio system features Yamaha audio video receivers powering in-ceiling Speakercraft speakers and Episode subwoofers. On the fourth floor, the homeowners can relax and enjoy one-touch integrated control of the 65” Samsung 4K TV and AV system while taking in the astonishing gulf coast views. Total Control also integrates with Luma surveillance cameras. Homeowners can view live video of the pool, beach walkover and gate from the user interfaces. 30AV also installed the Total Control 2.0 mobile app, granting onsite or remote access to the home via smartphone or tablet.